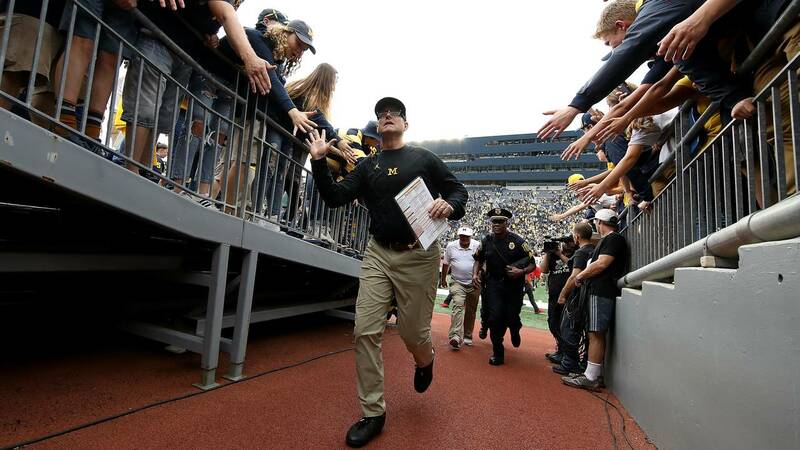 Michigan football: Is Jim Harbaugh the best coach left in the Big Ten? 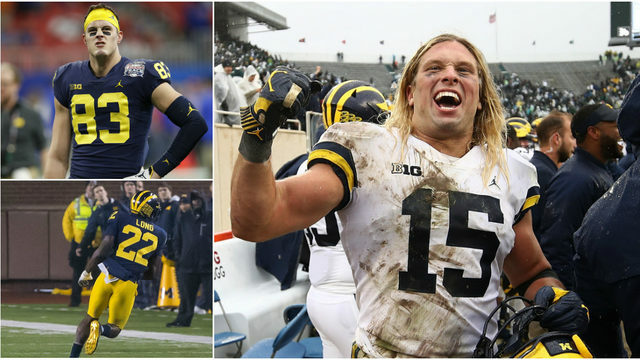 ANN ARBOR, Mich. - Tuesday was the end of an era in Big Ten football. After yet another Big Ten championship, Urban Meyer announced he will step down as Ohio State's head coach. In seven seasons in Columbus, Meyer went 82-9 overall, 54-4 in conference play and went to six New Year's Six Bowls. The only season Meyer didn't lead Ohio State to a major bowl game, it was because of a one-year ban. The Buckeyes went 12-0 that season. They never finished worse than tied for first in their division under Meyer. Meyer also led Ohio State to a pair of College Football Playoff appearances, winning the national championship in 2014 and losing in the semifinal in 2016. It's the most dominant stretch in Big Ten history, and Meyer was in the top handful of coaches in the country, perhaps only behind Alabama's Nick Saban. Now that he's gone, who's the top dog? There are 14 head coaches in the Big Ten, but not all of them are in this conversation. Ryan Day and Mike Locksley will be the new faces next season, and while they're both accomplished coordinators, neither has the head coaching resume to be considered the best in the conference right now. Locksley spent six games as the interim head coach at Maryland in 2015, but his overall head coaching experience has been a nightmare. From 2009-2011, Locksley went 2-26 at New Mexico. 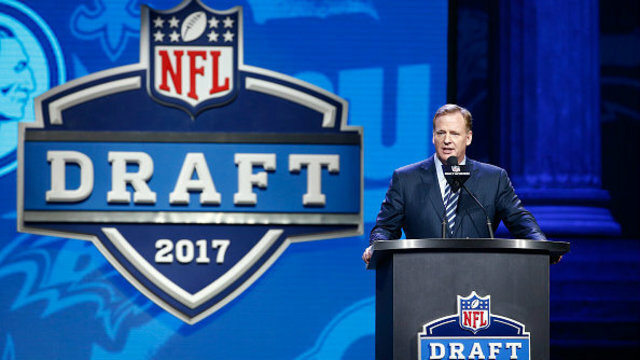 Day is an excellent offensive mind and has learned under some of the best coaches in the game, including Meyer and Chip Kelly. Could he end up being the best coach in the conference? It wouldn't be a surprise, given Ohio State's history of hires, but he can't have that title now after wins over Oregon State, Rutgers and TCU. 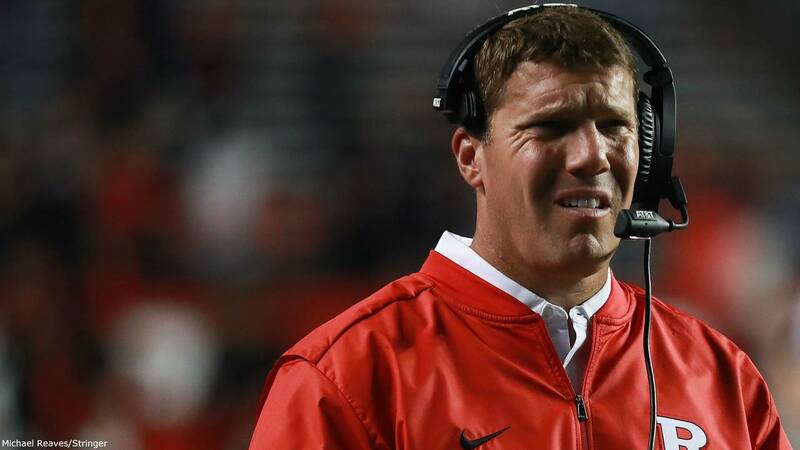 Chris Ash, of Rutgers, is 7-29 in three years. Lovie Smith, of Illinois, is 9-27 in three years. Tom Allen hasn't had a winning season at Indiana, and P.J. Fleck is 11-13 overall at Minnesota. None of these coaches have earned their way into the discussion, regardless of what they did before they got to the Big Ten. Jeff Brohm and Scott Frost are two of the Big Ten's brightest stars, but it's too early in their tenures to dub them the best coaches in the conference. Frost finished 4-8 in his first season at Nebraska, while Brohm has gone 6-6 in both regular seasons at Purdue. It's pretty easy to narrow the conversation down to six Big Ten coaches who have been with their schools for at least four years and experienced some measure of success. Again, most of the coaches mentioned above have legitimate upside, otherwise they wouldn't have earned Big Ten coaching jobs. But for now, only the proven coaches have claim to Meyer's empty seat atop the conference. Michigan's Jim Harbaugh, Michigan State's Mark Dantonio, Penn State's James Franklin, Wisconsin's Paul Chryst, Iowa's Kirk Ferentz and Northwestern's Pat Fiztgerald are the longest tenured coaches in the conference who have been successful. In terms of longevity, none of the other coaches can compete with Ferentz, who is the longest tenured coach in the country. He's been at Iowa since 1999, winning 151 games. 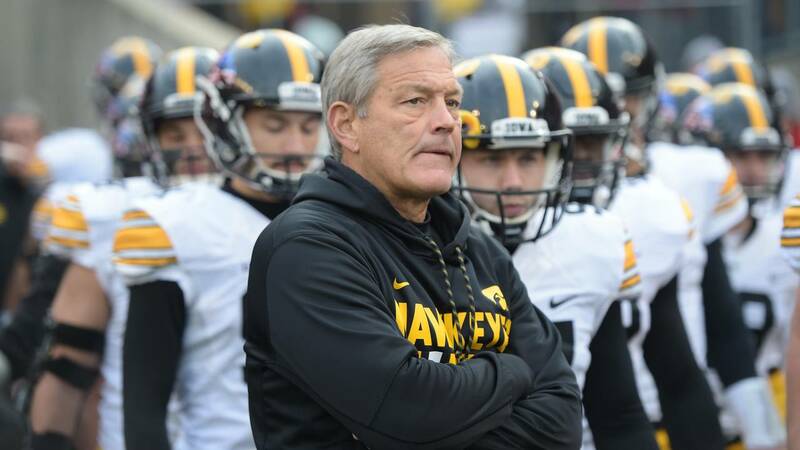 In 20 seasons, Ferentz has led Iowa to 16 bowl games and two shared Big Ten titles. Dantonio and Fitzgerald are two of only 11 other coaches who have been with their schools for more than a decade. 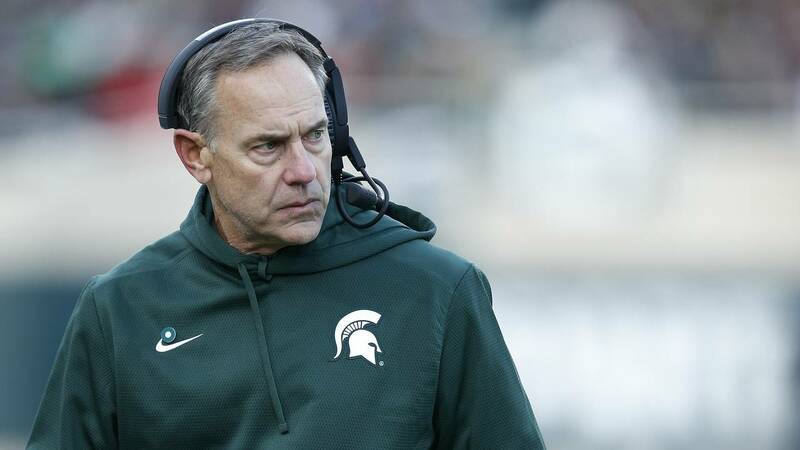 Dantonio has been at Michigan State since 2007, racking up 107 wins and three Big Ten titles. He's only missed a bowl game once in 12 seasons and led MSU to a College Football Playoff appearance in 2015. Fitzgerald is coming off his first Big Ten Championship Game appearance in 13 years at Northwestern. He's won 95 games and gone to nine bowls. Since taking over at Penn State five years ago, Franklin has won 45 games and never missed a bowl. He won a Big Ten championship in 2016. Harbaugh and Chryst entered the conference in 2015 and have not won a conference title. 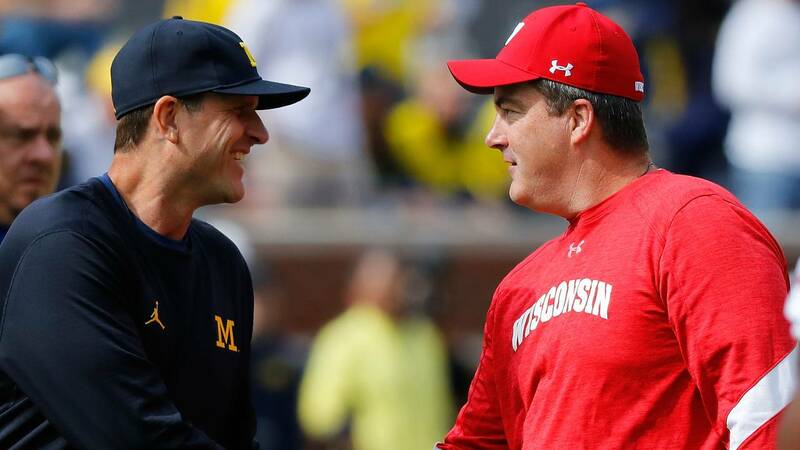 Harbaugh has won 38 games, while Chryst has won 41 games. The best argument for Chryst is that he owns the best winning percentage in the conference, other than Meyer. Chryst has won 77.4 percent of his games at Wisconsin and 77.1 percent of his conference matchups. He's won at least 10 games in three out of four years and participated in two Big Ten title games. Chryst is also undefeated in bowl games at Wisconsin, winning the Holiday, Cotton and Orange bowls. One knock on Chryst is the state of the Big Ten West Division, which is undeniably weaker than the Big Ten East. Since Chryst arrived in Madison, four of the best five football programs have been in the other division, leaving the path wide open for the Badgers to rack up wins. Chryst also struggled in 2018, going just 7-5 and losing home games to BYU and Minnesota, which both finished 6-6. Michigan State football reached new heights under Dantonio this decade, winning at least 11 games in five of out six seasons and taking home a trio of Big Ten titles. Dantonio has won 68.2 percent of his games at MSU, including 65.7 percent of his conference games. He was the only Big Ten coach to beat Meyer twice, which vaulted the Spartans into the top tier of the conference. Since Harbaugh arrived in Ann Arbor, though, Dantonio has by far the lowest winning percentage -- 62.7 percent -- of these six coaches. In the last three years, Michigan State is 20-18, with puzzling losses to Northwestern, Nebraska, Indiana, Maryland and Illinois. The Spartans never would have lost those games between 2010 and 2015. There's no doubt Dantonio has accomplished more than any of the current coaches in the conference, but the last three seasons have been very inconsistent. In this era of college football, it's rare for a coach to last long enough to accrue 100 losses, so in that sense, it's almost a badge of honor. Ferentz is 151-101 over the last two decades, winning 59.9 percent of his games and 55.8 percent of his Big Ten games. Consistency has been the key for Ferentz, as he's won either seven or eight games nine times at Iowa. He's reached double digit wins five times and finished with a losing record four times. Ferentz has led Iowa to two shared conference titles, but the last of those wins was in 2004. He lost his only Rose Bowl appearance but did win the Orange Bowl in 2009. In the last four years, Ferentz has had an impressive .692 winning percentage. It's been a strange season for Fitzgerald's team, which won the Big Ten West Division but lost five games in the process. Northwestern lost to Akron and Duke but also won at Michigan State, Wisconsin and Iowa. Fitzgerald has rebounded nicely from a pair of 5-7 seasons in 2013 and 2014, winning 10 games twice and 67.3 percent of the games overall. 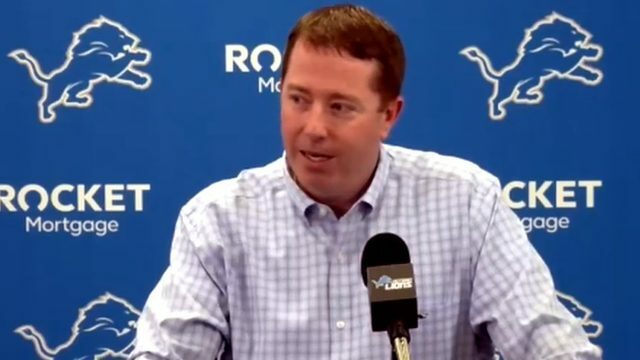 Northwestern was a difficult job when Fitzgerald arrived, and he's turned it into a fairly consistent contender. 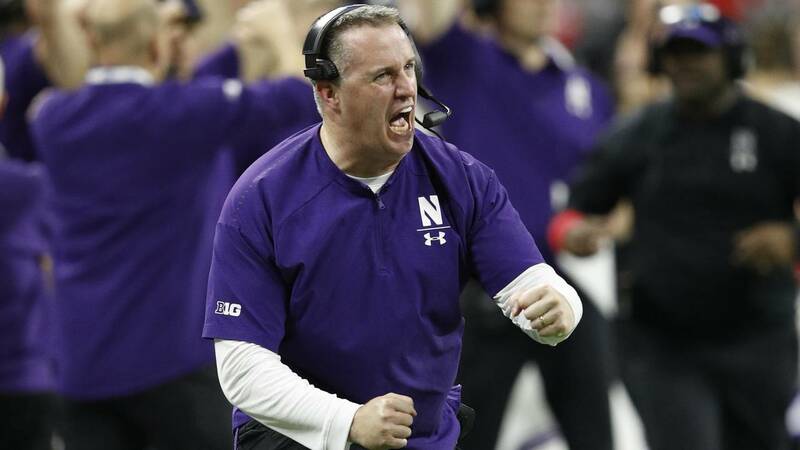 Northwestern has never been a national championship contender under Fitzgerald, but he's finished with a winning record in the conference four years in a row and has a 56-51 Big Ten record over 13 seasons. Would Northwestern have as much success in the Big Ten East? Probably not, considering it lost to Michigan and Ohio State this season. But that doesn't take away from Fitzgerald's 35 wins the last four years. 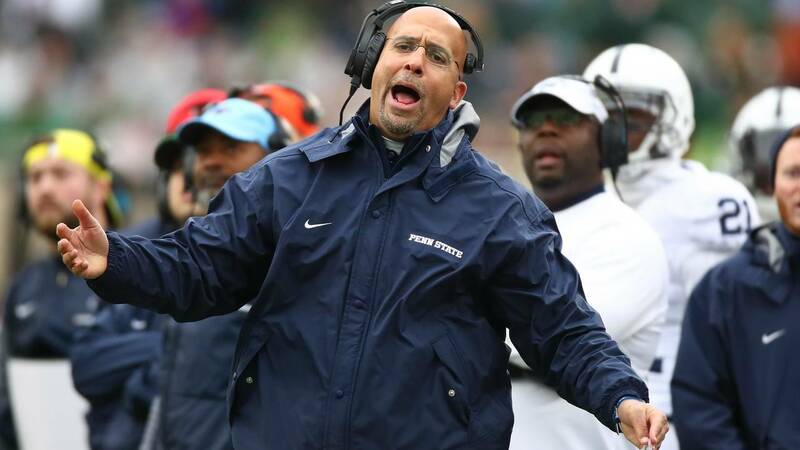 Penn State has done a complete 180 since early in 2016, when a blowout loss to Michigan following a pair of 7-6 seasons had Franklin on the hot seat. Since that game, Penn State has gone 29-6, winning a Fiesta Bowl and playing in a Rose Bowl. Franklin also won a Big Ten championship in 2016. Franklin has won at a .692 clip in five seasons at Penn State, highlighted by his back-to-back 11-win campaigns. There was a feeling that Penn State underachieved in 2018, though, losing to all three of the other Big Ten East contenders. Penn State is back in the national conversation, and Franklin only needed two down years to get there. 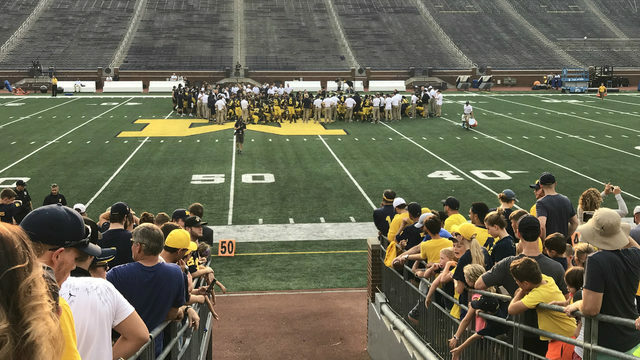 There's no coach in the country who elicits overreactions like Harbaugh. When Harbaugh wins, he's in the headlines. When he loses, it's one of the biggest stories in college football. When Harbaugh dropped to 0-4 against Ohio State this season, the hot takes were flying about how Michigan still can't win big games. What people fail to remember is almost nobody has beaten Ohio State under Meyer. In four seasons at Michigan, Harbaugh has a .745 winning percentage, better than every other coach besides Chryst. He's done so while playing Ohio State, Michigan State and Penn State every season and Wisconsin three seasons in a row. Ohio State has truly been the one obstacle Harbaugh can't hurdle. Ohio State alone has prevented him from winning Big Ten titles and getting into the College Football Playoff. Harbaugh has lost 13 games at Michigan. Only two of those losses were to teams that finished with fewer than 10 wins: 8-5 Iowa in 2016 and 9-4 South Carolina in 2017. Harbaugh will be knocked for not winning a Big Ten championship in his first four years, but that's more about Ohio State than it is about any of these other coaches. Dantonio is 2-2 and Iowa is 1-0 against Harbaugh. Chryst, Franklin and Fitzgerald all have losing records against Harbaugh. While Franklin has won a Big Ten title since Harbaugh arrived in Ann Arbor, it's impossible to say he's the better coach. Michigan has beaten Penn State by 12, 39 and 35 points and lost to Penn State once by 29 points. Harbaugh also has a better overall record and a better record in conference play. Ferentz, on the other hand, beat Harbaugh in their only meeting. But Harbaugh has a much better record overall as well as in the last four years. Iowa has won eight games each of the last three seasons, and that's equivalent to Michigan's worst season under Harbaugh. Fitzgerald hasn't beaten Harbaugh and doesn't have Northwestern competing for playoff spots. He's done a great job at Northwestern, but he's not at Harbaugh's level. That leaves the trio of Harbaugh, Chryst and Dantonio. Even though Chryst has the best winning percentage of the three, he deserves the same criticism that gets heaped on Harbaugh. He's never won a Big Ten title despite essentially getting free passes through the West Division and is winless against Ohio State. Illinois, Purdue, Nebraska and Minnesota haven't been much of a threat the last four years, while the Big Ten East has been much tougher. This year's results also hurt Chryst. 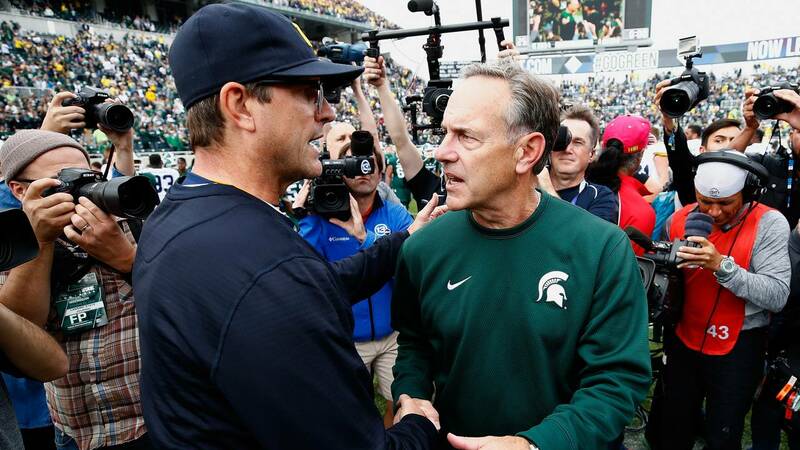 Between Dantonio and Harbaugh, it's an argument of the last four years and the full body of work. Dantonio has way more to show for his tenure in East Lansing, namely Big Ten titles and a playoff appearance. He knocked off Meyer twice, and that separates him from the rest of the pack. Harbaugh, however, has out-performed Dantonio the last four years. Michigan has won 74.5 percent of its games since 2014, while MSU has won 62.7 percent of its games. They're 2-2 in head-to-head meetings, though Michigan has been much more dominant in its wins. Harbaugh's worst season at Michigan was 8-5. Dantonio went 3-9 in 2016 and 7-5 this year. Is it possible that Dantonio is the more accomplished coach, but Harbaugh is the best coach right now? There are several very good head coaches in the Big Ten, and now that Meyer is gone, they have a chance to be the best in the league. 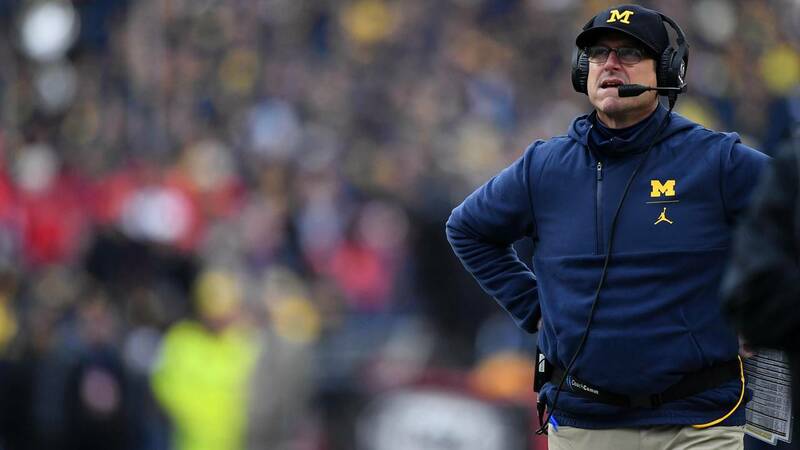 Will it be Harbaugh, who has twice gotten Michigan within one game of a possible conference title and playoff appearance? Ohio State is his final hurdle, and it's a big one. Despite Harbaugh's struggles in "The Game," nobody other than Meyer has been more consistent in the Big Ten over the last four years. It's still Ohio State's conference to lose, but who has a better chance to change that than Harbaugh?